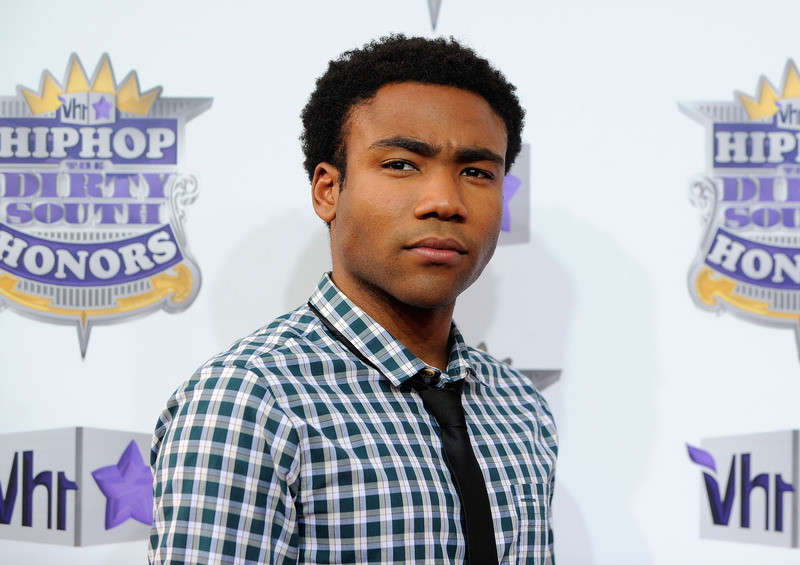 On Monday, a lot of us were confused by Community star Donald Glover's Instagram. The actor uploaded photos of musings he'd written on hotel stationery that aired his deepest fears. He talked about being afraid of what people think, about being afraid he's not good enough, about being afraid that his girl would have an unplanned pregnancy. He explained on the small pieces of paper that he hadn't left Community to rap, as speculated, but to be on his own. His posts were the subject of a lot of chatter and now, Donald Glover has spoken out about his Instagram posts. He's responding to the response, I suppose. In a statement to People, the 30-year-old revealed he was just venting. That night, we had a show, and then afterwards, I had this moment of feeling like, 'What's the point? Why am I even here?' I just wanted to write down my feelings. I definitely was just expressing myself. If I'm depressed, everybody's depressed. I don't think those feelings are that different from what everybody's feeling. Most people just don't tell everybody. I was just tired of telling people I was tired. It felt like every day someone would ask, 'What's wrong. Are you OK?' And I would say, 'I'm tired, I'm tired.' I didn't want to do that anymore. I guess sometimes not telling the truth is just as bad as telling a lie. Linda Holmes, a pop culture writer for NPR, made an excellent point on Twitter after Glover's musings went viral. She disagreed with The Hollywood Reporter, which claimed that his posts were "disturbing." She wrote: "They were unsettling because we're not used to famous people's sad thoughts while they're current. 'Disturbing' makes sadness sound deviant." And she's right. More than right. If you can be righter than right, your name is Linda Holmes. And Glover's response mirrors Holmes' point. His feelings shouldn't be disturbing. They're just that, feelings, and they may change, they may not, but the good news is, he's sharing them. He's getting them off his chest. He's expressing himself. His honesty is admirable — it's just too bad we couldn't have come to that conclusion the first time around.